Microsoft recently announced the release of the latest Windows 10 Insider Preview (build 17093) which brings a ton of improvements and bug fixes. Even though the build is limited to users enrolled in the Windows Insider program, it highlights all that’s coming to the stable release of Windows 10 in the coming months. The Game Bar has received a makeover in the latest release, making it easier for users to find all the settings and features. It now has new buttons which allow users to directly access their captures, toggle their microphone and camera, and edit the title of their Mixer stream. Additionally, Microsoft has added a theme selection tool which will allow users to customize the game bar with a dark, light or other Windows theme. On the occasion of Data Privacy Day last week, Microsoft announced the release of new privacy tools including the Diagnostic Data Viewer, which was released with Windows Insider Preview build 17083. 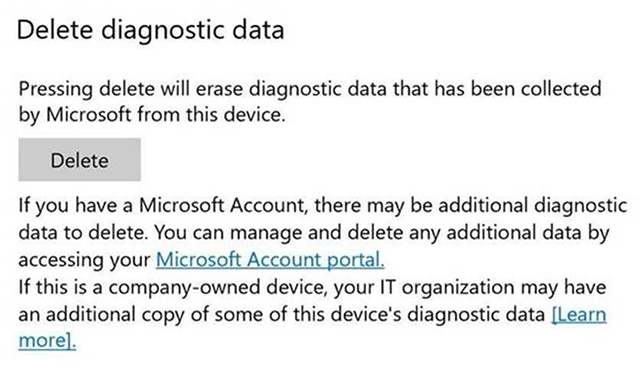 With the latest release, Microsoft now allows users to delete the Windows Diagnostic Data collected from their device. However, the backend cloud system for the feature is currently in development and will be available before the stable release of RS4. With the latest build, Microsoft is expanding HDR video access to more users via a new functionality. 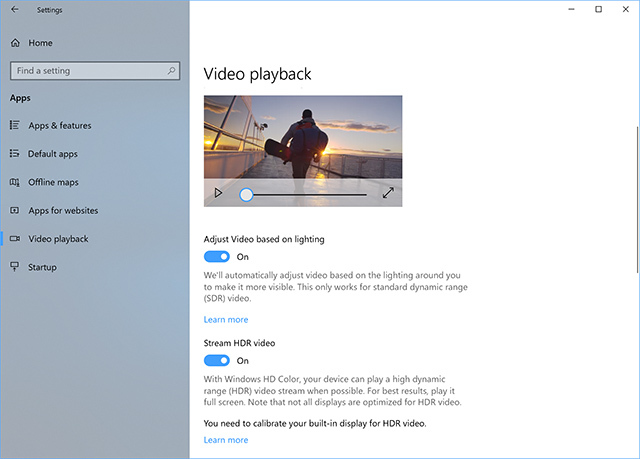 This will enable support for HDR video on more Windows 10 PCs. Additionally, the company has included an experimental calibration tool which will allow users to change the way HDR video appears on their device. The build also includes new graphics settings for multi-GPU systems which will allow users to manage the graphics performance preference of individual apps and specify the GPU to be used. In order to further secure and streamline Windows 10 S systems, Microsoft has released a new feature which will allow users to unlock their systems without entering a password. 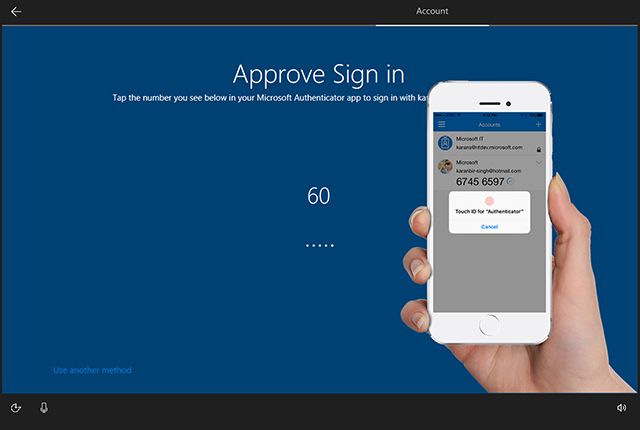 Windows 10 S users will be able to setup their systems with the Authenticator App and use the devices without having to enter a password. Eye control for Windows 10 made its debut with the release of Windows 10 Fall Creator’s Update back in October 2017. Now, Microsoft has added some new capabilities to the feature, enabling “a richer eye control experience.” Navigation using eye controls is now more fluid, allowing users to easily scroll through content. Users can also accelerate to common tasks, with quick access to Start, Timeline, Settings, and device calibration, which are not available in the eye control launchpad. Additionally, eye control users will also have the flexibility to hide the launchpad for uninterrupted use and just a glance at the pause button will re-engage the launchpad. 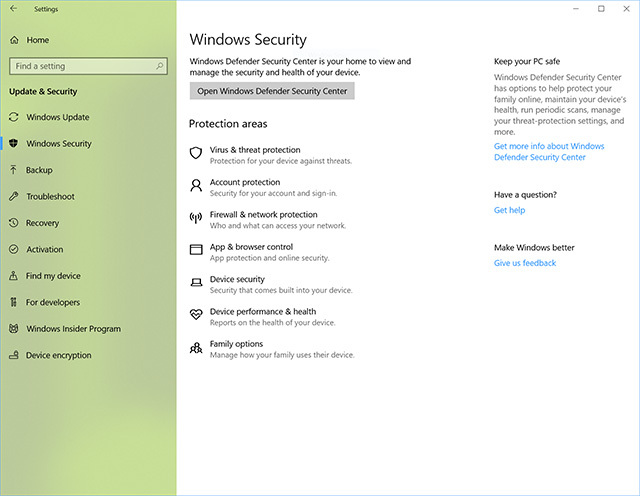 In the latest build, Windows Defender has been renamed to Windows Security and the settings page has been redesigned to lay emphasis on the various areas a user might need protection. Microsoft has also made it easier for users to protect their identity while signing in to Windows with the new Account Protection pillar in Windows Defender Security Center. Account Protection will prompt users to set up Windows Hello Face, Fingerprint or PIN for faster sign in and will notify Dynamic Lock users if Dynamic Lock stops working. Additionally, Microsoft is giving users greater insight into security features integrated in their Windows devices. The new Device Security page will provide users with status reporting and management of security features, including toggling features on or off to provide enhanced protection. Other than the aforementioned changes, the latest build of Windows 10 includes Bluetooth improvements for streamlined pairing and connecting to certain Bluetooth devices, Microsoft Edge improvements including changes to full screen mode and new clutter-free printing, improvements to input including multilingual text support and text prediction support, an updated privacy settings navigation pane, and ease of access improvements with narrator support enabled in safe mode.